The Queen will say in her Christmas Day broadcast that the Christian message of “peace on earth and goodwill to all” is “needed as much as ever”. She will say the message is “never out of date” and can be “heeded by everyone”. The monarch, 92, will also highlight the importance of people with opposing views treating each other with respect. It comes as Parliament remains divided over the PM’s Brexit deal, as the UK prepares to leave the EU in March. However, as head of state, the Queen is publicly neutral on political matters. In the broadcast, recorded in Buckingham Palace’s white drawing room, the Queen will reflect on Jesus Christ’s message of peace on earth and goodwill to all. Her message, which was recorded on 12 December, includes highlights of 2018, from England reaching the World Cup semi-finals to the weddings of the Duke and Duchess of Sussex and Princess Eugenie and Jack Brooksbank. She will also emphasise her own strong Christian beliefs in the broadcast, produced this year by Sky News. The Queen wore an Angela Kelly ivory silk cocktail dress, with a gold Scarab brooch, with ruby and diamond embellishments, for the broadcast. The brooch was a 1966 gift from the Duke of Edinburgh. 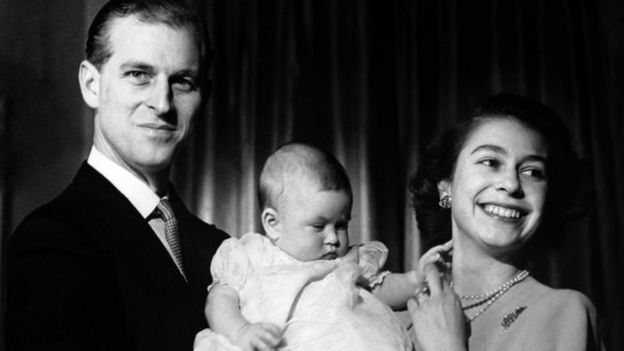 The Queen’s Christmas message was recorded with her sitting at a desk beside a framed black and white photograph of herself, Prince Philip and six-month-old Prince Charles, taken in 1948.